14th April 2016 – Funds advised by Motion Equity Partners announced today that it has entered into an exclusive agreement with the Permira Funds for the sale of Arcaplanet Group, a leading pet stores retailer. Arcaplanet Group was founded in 1995 by Michele Foppiani, who still runs the Company as CEO. The Group operates a chain of c.150 stores which sell over 10,000 SKUs, ranging from pet food to accessories and to healthcare products. The Group has also developed its portfolio of four different owned brands: Start, Expecial, Next and HiFish. In 2014, Arcaplanet Group launched its online retail activity. 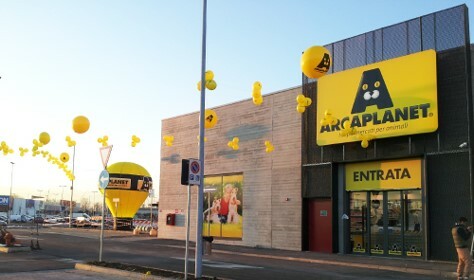 Over the recent years, Arcaplanet Group has built its successful growth story through the new stores opening (from 46 in 2010 to 150 as of today) as well as product and offer innovation. In 2014, the Company launched its first TV advertising campaign, first mover in its sector, and this marked an important milestone in Arcaplanet history. The Group recently announced record 2015 results with 30 openings and €137m in revenues (+22% vs previous year). Funds advised by Motion acquired Arcaplanet Group in 2010 and supported the Group in its growth path over the last 5 years. The closing of the deal is expected by the end of June 2016. Lazard Frères acted as financial advisor to Motion. Luther, Loyens, Studio Pedersoli e Associati, JustLex, PwC, Chiaravalli Reali & Associati and OC&C also acted as advisors to the deal. Mediobanca, BNP Paribas, Fineurop Soditic, Vitale Associati and Unicredit acted as financial advisors to the Permira Funds. Bonn & Schmitt, Giliberti Pappalettera & Triscornia, Ernest & Young, Bain & Company and Maisto & Associati acted as advisors to the deal.